I love featuring young talent on my blog as I believe everyone needs as much exposure as possible when starting out. With Royal Ascot less than 24hrs away I thought this was a perfect opportunity to introduce new up and coming milliner Georgina Durdy. 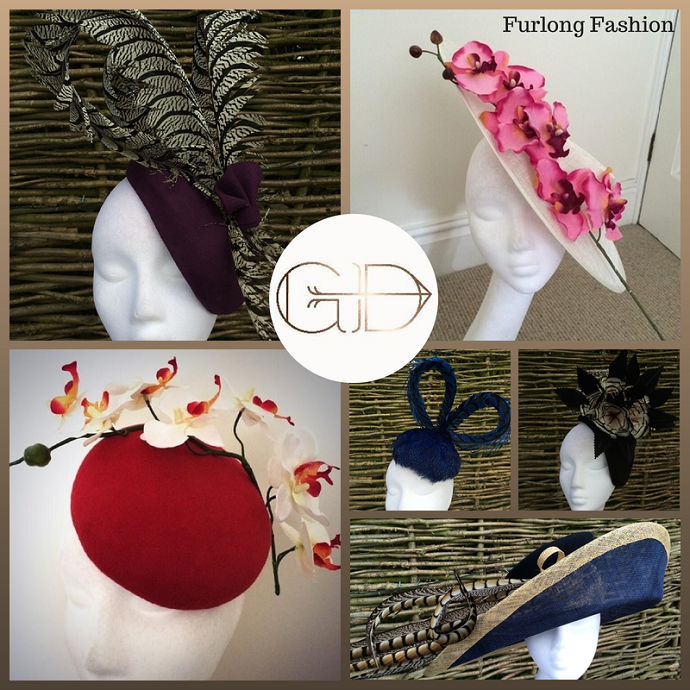 Georgina Durdy has launched her own millinery line ‘George Durdy’ England. 3 months on she is excited to be creating her own handmade unique bespoke designs and welcomes the opportunity to get herself known within the racing industry. Her designs have country twists that are classic and edgy, creating that finishing touch to complement any ladies outfit. From a young age she has had a huge desire for fashion. She completed a 4-year course in Fashion Knitwear and Knitted Textile Design at Nottingham Trent University where she had the chance to undertake a placement year. She worked in London for 3 months and New York for 7 months, which was a life changing experience. She definitely got the most out of working in one of the biggest fashion iconic cities in the world. In the summer of 2012 she commissioned milliner Suzanne Gill from North Yorkshire to make her an exciting hat for the Ledger Festival. She had no idea where this was going to take her. She had the opportunity to be her Brand Ambassador and showcase her designs. A year down the line after she had graduated Suzanne Gill contacted her to explain she was re-locating abroad and to offer her the opportunity to buy her millinery equipment. She already had a great insight and passion for hats from visiting the races from a young age with her Grandparents and family who owned racehorses. She is naturally creative by nature and welcomed the chance to take on this challenge. Georgina has been brought up on her family farm and likes her designs to reflect the countryside and nature along with understated elegance, which she feels very at home with. Her creations are bespoke to individual style and completely hand finished. Georgina' collection will be available to view online at www.georgedurdy.com in August.